Since the start of Shinsei Pharm. Indust. Co., Ltd in 1947, our company is involved in the developing and manufacturing of safe and high-quality pharmaceutical products. In order to correspond to the ever-changing viruses and diseases, as well as to fulfill the needs of customers, we are fully engaged in the selection of raw materials and the manufacturing of products. In addition, our company is constantly involved in research and development to produce new pharmaceutical products for everyone's health interests. Since the start of Shinsei Pharm. Indust. Co., Ltd , large amount of pharmaceutical products have been produced. KANPO orally consumed drug from「CACONAL」have garnered trust and achieved the most success from our customers. In addition, our company has the technical capabilities to produce KANPO raw herb solution and KANPO extracts in the forms of packaged granules, drink syrup,beverages, etc. We will continue to utilize our technical capabilities and further our track records by developing and manufacturing pharmaceutical products that suit the needs of our customers. 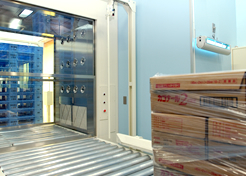 While continuing to develop and produce high-quality pharmaceutical products, Shinsei Pharm. Indust. 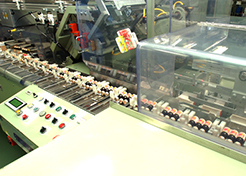 Co., Ltd is able to correspond to varieties as well as small-batch productions. As our company specializes in using chinese medicinal herbs as raw materials for the development of pharmaceutical products, many pharmaceutical companies have already enlisted our services. If you would like to obtain the line of pharmaceutical products that could counter all kinds of symptoms, please do not hesitate to contact us. Our company has the ability to correspond to varieties and small-batch productions. Not only will you save on the cost of developing products, you will be able to meet the seasonal demands of pharmaceutical products. Shinsei Pharm. Indust. Co., Ltd is able to be fully involved from the selection of raw materials to its production process. 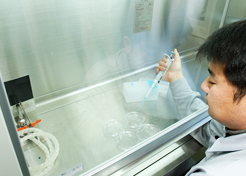 Together with high technological capabilities and hygiene practices, safe and high-quality pharmaceutical products are being produced. In addiiton, the cost and time of our delivery adhere to the requirements of our customers. A flexible approach is also adopted in the event of changes. Our company will utilize our expertise and employ the best technology in providing our services. If you seek peace of mind regarding safe and effective pharmaceutical products, our company is definitely your choice. In order to work towards the development of OTC drugs , we are constantly engaged in its research and development. As for Kanpo, and drugs, please feel free to contact us. ZIP:635-0103 1269 Shimizutani, Takatori-cho, Takaichi-gun, Nara, Japan. ZIP:635-0103 313-1 Shimizutani, Takatori-cho, Takaichi-gun, Nara, Japan.